Horse racing and trotting have a long history in Canterbury. By the 1870s Riccarton Racecourse was known as the home of the New Zealand Cup. 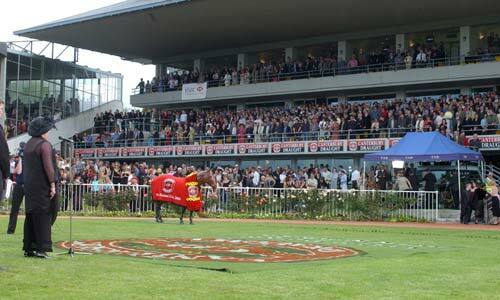 This is still the focus of a racing carnival, held annually in November. The woman at left is singing the national anthem to the crowds on Cup Day.